Today has been one of those days. 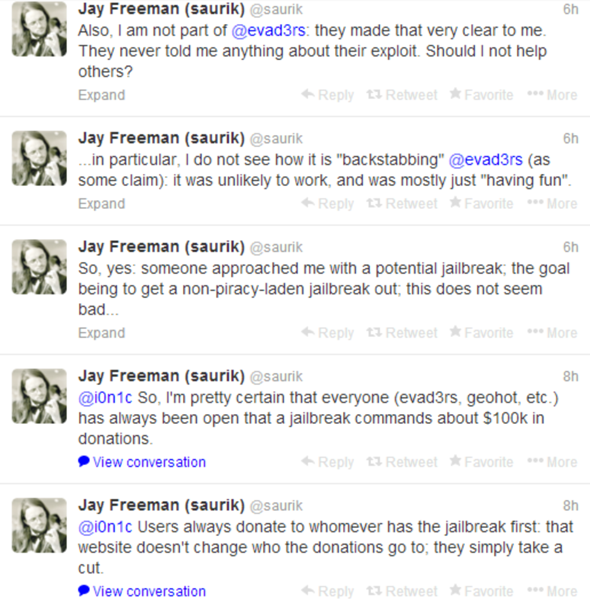 First there was the unexpected release of a new untethered jailbreak from the folks at Evad3rs, which got everyone so excited we thought our Twitter streams might explode. 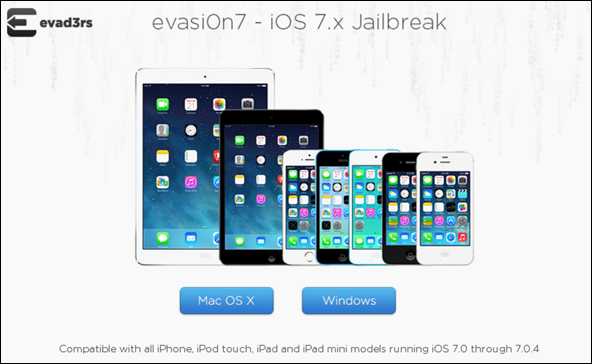 It seems people really like being able to jailbreak their iOS devices. Then, things got crazy. It turned out that those who had Chinese set as default language were seeing a third-party app store being installed as default rather than the Cydia app that we’re all used to seeing spring up after the jailbreak is complete. 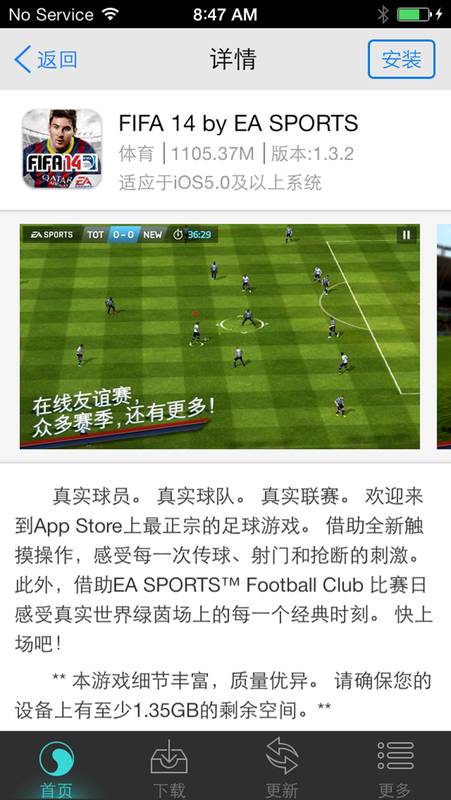 What’s more, it became clear that the app store in question, TaiG, was full of piracy. 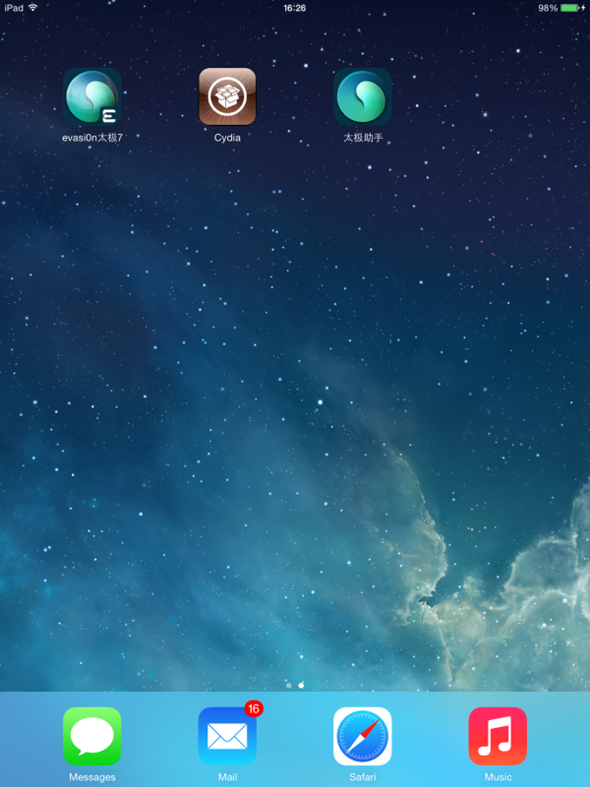 Cracked iOS apps were abound, and it caused something of a stir. And then we really thought our Twitter streams would explode. 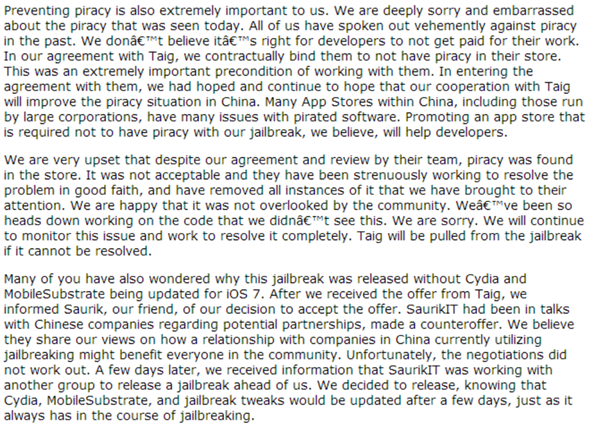 It looks like the people at Evad3rs have been paying attention to the outcry after, as promised, the people behind the jailbreak in question took to the internet to explain their position on the whole shambles. The whole post is rather a long one, and we strongly suggest you head on over (full letter alternatively embedded below) and give it a proper read yourselves rather than us try and explain the whole thing word for word here. Needless to say though, Evad3rs is trying desperately to get away from the suggestion that it is in bed with an app store that is there to offer the Chinese market a gateway to hacked apps. The team is also keen to point out that it told Saurik, the man behind Cydia and MobileSubstrate that they were working on a new iOS 7 jailbreak, and that they were working with TaiG on the project. 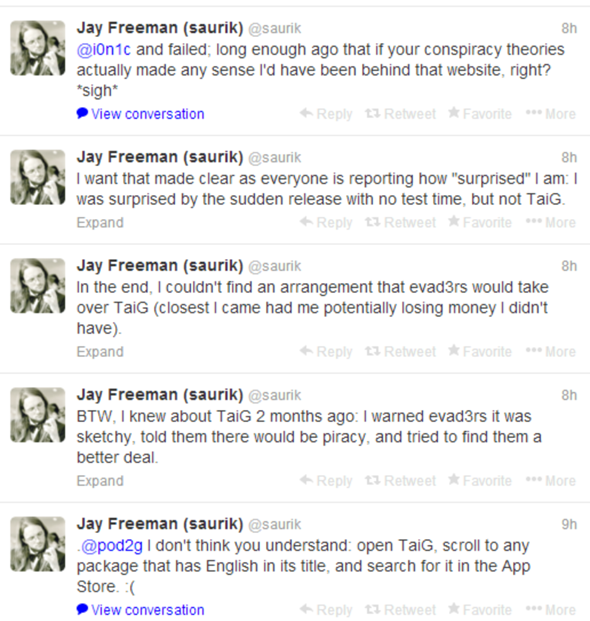 Evad3rs seems upset that Saurik was also helping their competition out – something the man himself counters by pointing out on Twitter that he is not a member of Evad3rs and as such, shouldn’t be bound to any one team. 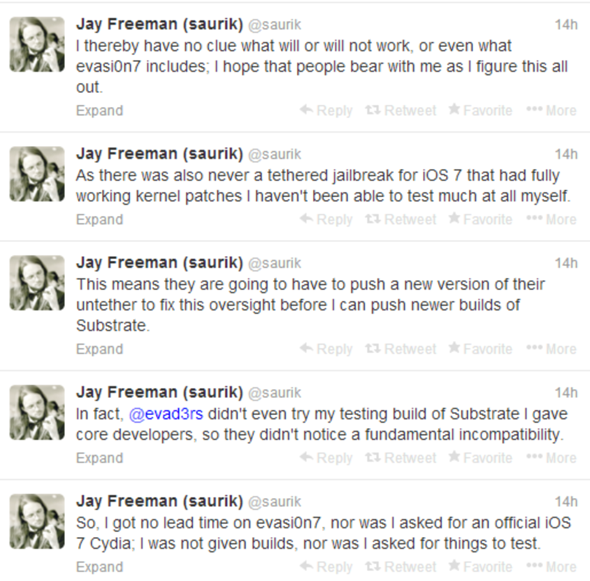 The real question surrounded why the Evad3rs jailbreak was seemingly rushed out in the first place. With no proper press warning and no developer support, the jailbreak took not just users by surprise but also the very people that it needed to alter their apps to accommodate it. That question didn’t take too long to be answered after an audio recording popped up online that appeared to feature jailbreaker Geohot (now as @tomcr00se on Twitter). Interestingly, it seems he was in conversation with a Chinese entity who wanted to buy his almost-complete iOS 7 jailbreak at a lower price, with the remaining pieces to be provided by them. 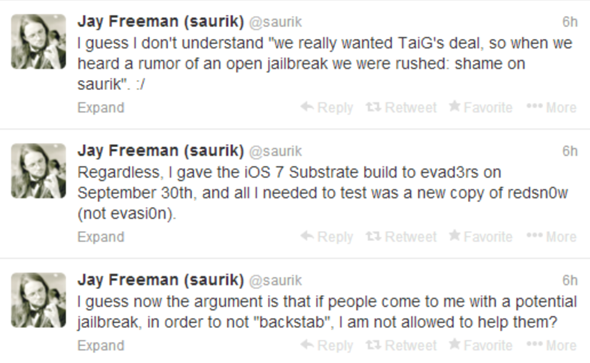 It would seem that Evad3rs got wind of that impending deal and rushed their competing jailbreak out in order to preserve the deal already in place with TaiG. 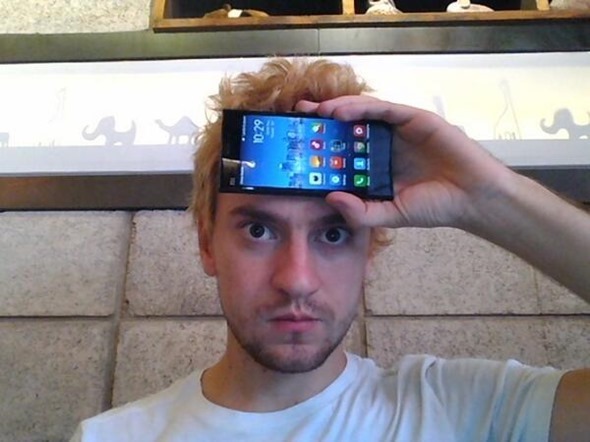 Geohot, for his part, now says that the sale was never going to happen thanks to a conversation with his lawyers. As far as TaiG is concerned, it is only available as default in China, and apparently it can be removed once installed, and Cydia can be made to take its place should the jailbreaker so wish. Apparently that means Evad3rs is giving people a choice, though we’d argue that giving people the option to uncheck TaiG installation at the point of jailbreaking would have been a true choice. Forcing TaiG onto people is the opposite of choice, really. The people at TaiG are reportedly working to clean its store of illegitimate apps, too, which should go some way to easing fears that it is less than legitimate. It was also confirmed in the posting that there was indeed a deal between Evad3rs and TaiG as had been reported, and that money did change hands. There’s been no confirmation on the amount of money that changed hands, though. As for where things go from here, it’s still a little murky. 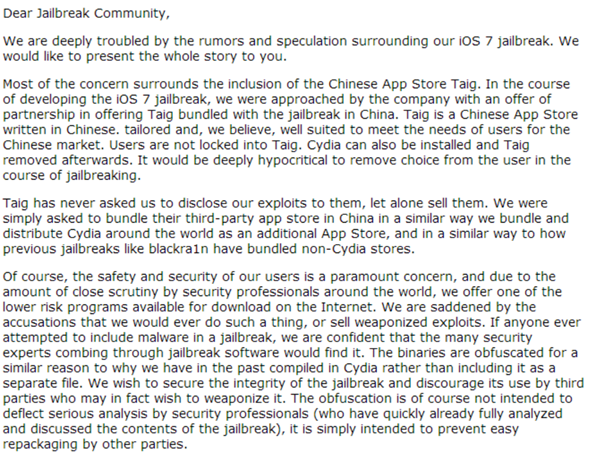 It’s debatable whether everything is really in place for the iOS 7 jailbreak to be truly useful just yet, but if you really must jailbreak now then you should be OK. TaiG is only installed if you have the language set to Chinese, and Evad3rs claims that there is nothing untoward going on beneath the surface. Security researchers are combing through what the jailbreak does, and what it installs, as you read this so if all is not well, expect to hear about it soon. Hey, sorry, I’m going to try to respond to the concerns on this thread. As far as I know, there’s no private data being uploaded by them, other than what’s necessary for the download and install of the apps. I mean, even Cydia phones home with your udid. 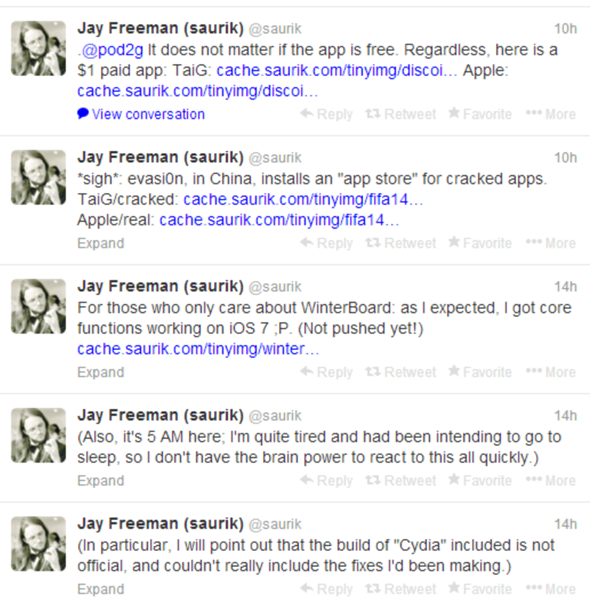 That’s why saurik is able to give such accurate counts of jailbroken devices. I talked to the Taig guys and they assured me that there’s nothing out of the ordinary going on. If anyone has proof otherwise, I would really like to see it. But it’s certainly not been the smooth release they’ll have been hoping for. @Pod2g: We have decided to remotely disable the default installation of TaiG in China for further investigations on the piracy issue.